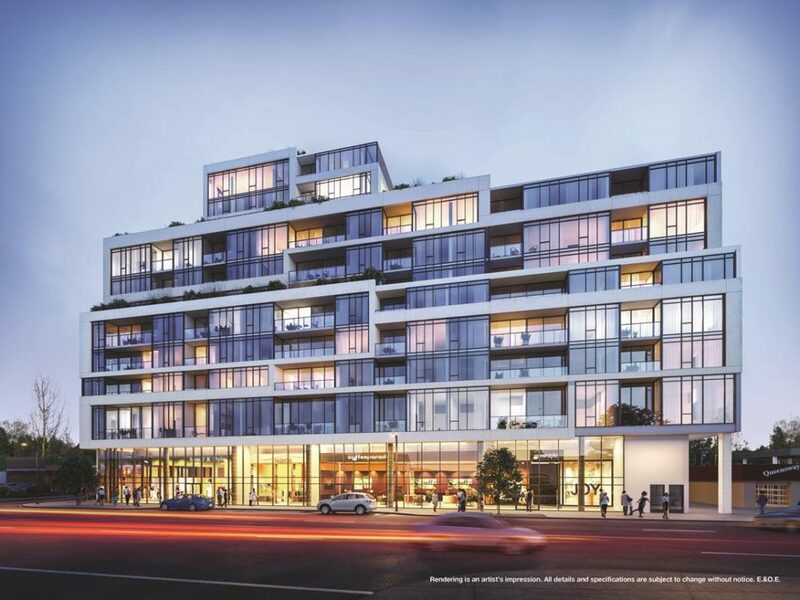 In our first episode of the Release Radar Roundtable – Roy, Amit and Mike discuss the latest new condo projects and also give a sneak peak at whats launching soon. Roy Bhandari: Welcome everybody this is the TalkCondo Release Radar Roundtable, where every week we sit down and discuss the best new condo launches that you can buy today, and the best ones that are coming soon. My name is Roy Bhandari. I’m the co-founder of TalkCondo, and we’ve got Amit Bhandari, and Mike Santos joining us today. First of all were going to talk about the latest new condo launches. 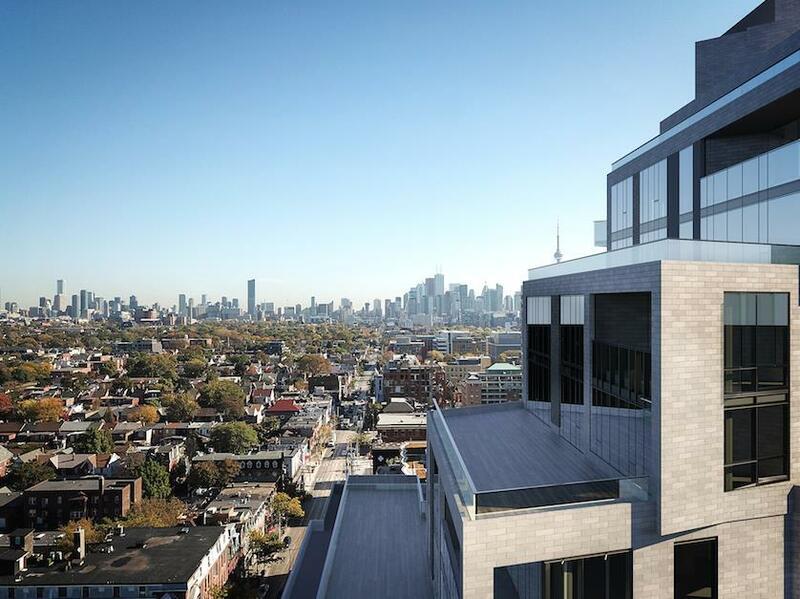 These are condo launches that buyers can buy today. In the email that’s gone out, they got options where they can download the floor plans, and submit a reservation suite right away. The first one is ERA 2 Condos. ERA 2 is up in Richmond Hill. It’s by Pemberton Group. This is one is really interesting. Mike give us a quick rundown and ERA 2. Mike Santos: Sure. 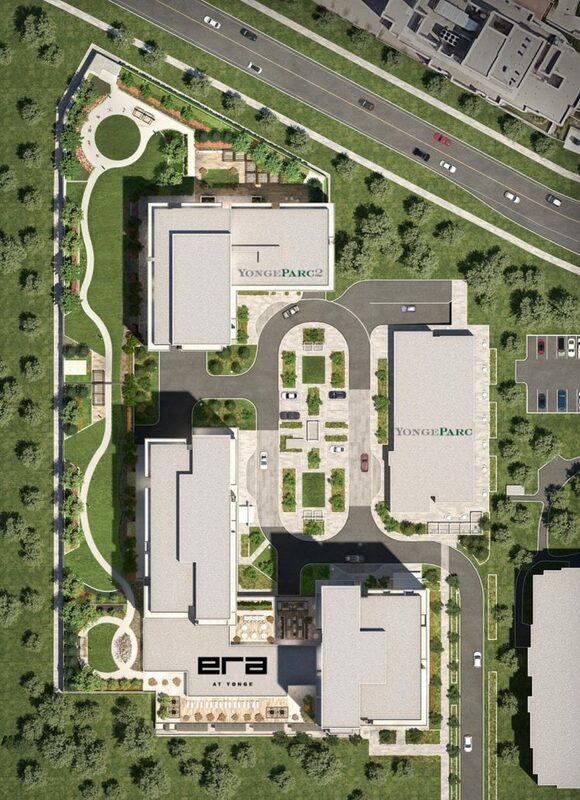 As Roy said, it’s a Highway 7 and Yonge master-planned community by Pemberton, one of the largest builders in the GTA. Massive footprint all over the GTA, Toronto, Mississauga, Maple, all over York region. Again, master-planned community. There’s four towers. This is the last tower, so this is the last chance to get into this community. Pricing is really good. 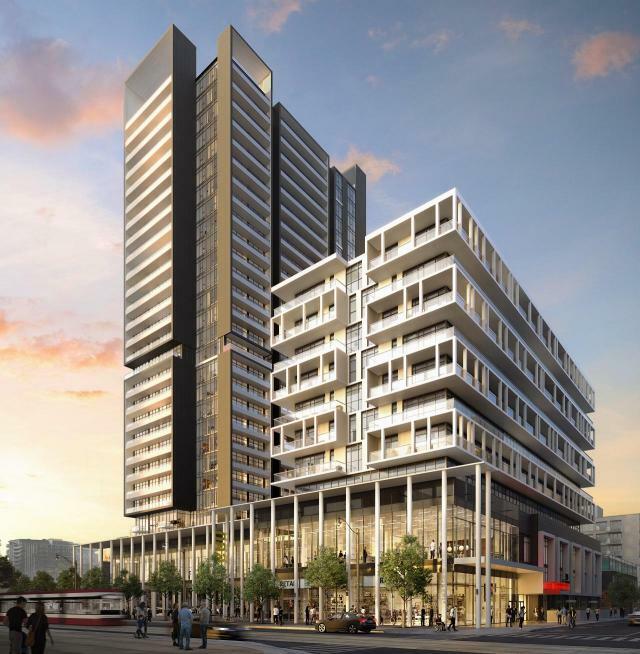 There is a Go Station nearby, so it makes it perfect for commuters or investors. End-users and investors have potential here. That’s what Pemberton do. This is the big thing about them. They create master-planned communities, and they do a really good job of it. It brings the whole community together. It’s 30 stories, 312 units in total. Again, there is limited inventory now, but there’s still good options available. This is one of the projects that’s a buy today option, and This is the last one that Pemberton is going to be doing in this community. Amit Bhandari: They were everywhere. Roy Bhandari: … everywhere. 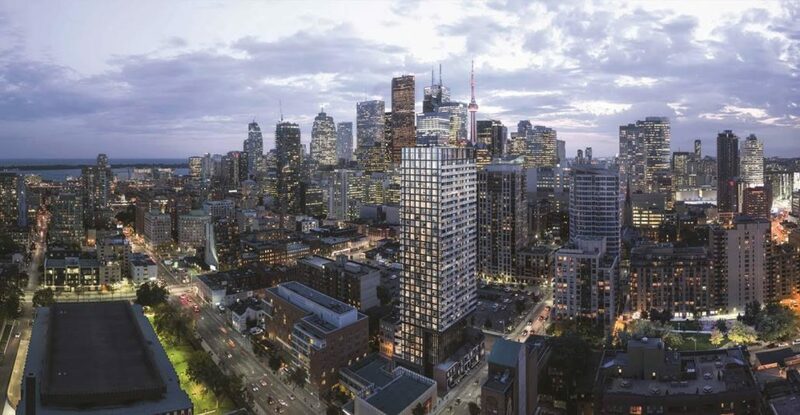 They did Time and Space one, two, three, and four, so four towers down at Front and Sherbourne. Downtown they also did Social condos down at the backend of the year. They had Indigo phase one and two in Maple. You mentioned they’re in Maple. They did two in Mississauga, so they’re really all over the place. Amit Bhandari: All over, yeah. Mike Santos: For sure, that’s definitely … When people talk about new projects, I mean, a great builder is obviously a huge component of that. Roy Bhandari: Yeah, really important. Mike Santos: As soon as you see the Pemberton name, and I know as soon as we see the Pemberton name coming in the pipeline as well, we know it’s going to be a really good project. We’re ready to ramp up for this projects in the future. This is definitely one of the best buy now projects today. The demand for it, it’s been insane so far. I know it’s been out for a little bit now, but there is still product available for it. Amit Bhandari: Community yeah, master-planned community. 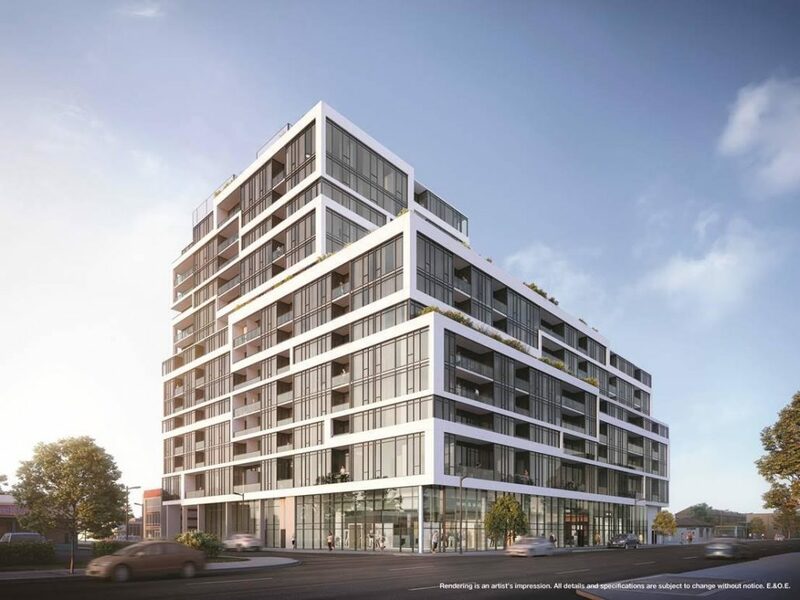 Roy Bhandari: The next project is 1181 Queen West. 1181 Queen is in the Queen West neighbourhood. 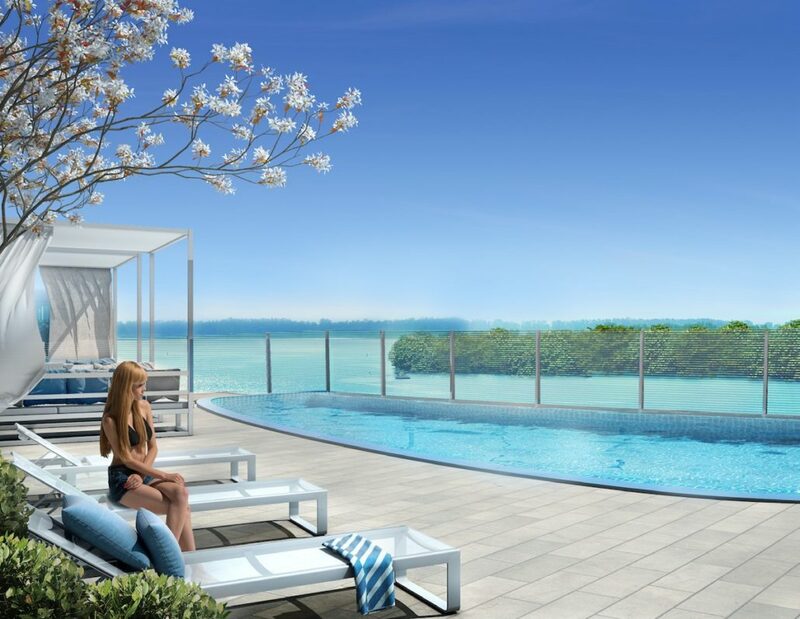 It’s very different from the other condominium projects where it’s investor focused. Talk to us a little bit about 1181 Queen. Mike Santos: Sure. Yeah, I would consider it more than end-user. It’s super boutique. It’s 15 stories, 112 units, really large units, really large terraces. Right at Queen and Gladstone, so you’re just minutes from Trinity-Bellwoods Park, Drake Hotel. Then with the King Street Pilot coming in, it’s opened up all of the re village King West. It’s really an area that people are wanting to go into, but again it’s a super boutique building. Only 112 units, so it’s one that you definitely have to move on. It’ll be one where inventory moves very quickly. If you’re looking for that project that has those very luxury finishes, I know that right now we have standard finishes that are great, but if you’re looking for that little extra bump up in quality, where you get at normally a Yorkville, or one of those really high-ends, you’re getting that added Queens West, hipster cool area, at a price range that isn’t quite Yorkville and above, so it’s a really cool, unique project. Mike Santos: The smallest is 546, which you don’t see all that often nowadays. If an end-user is looking for a project with space, because everyone is worried about that, this is definitely one to look at for sure. Amit Bhandari: Very similar, very similar. That was a boutique building as well, with fantastic south views. Roy Bhandari: Well the south views overlook The Bluffs right? Amit Bhandari: Yeah, of course. Yeah, very similar concept as well. Amit Bhandari: Pretty much, yeah, pretty much. 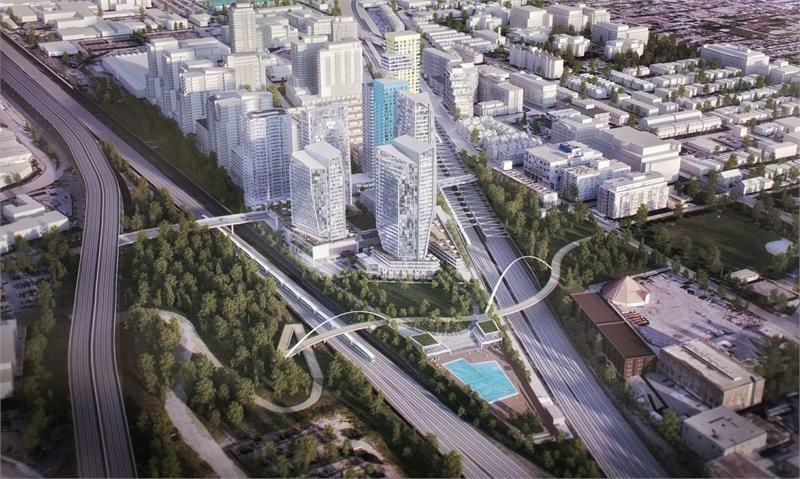 Roy Bhandari: Okay, so let’s move on to 859 West, which is on the Queensway. Again, comparatively speaking, it’s a small building, only a couple hundred units. Mike Santos: Yeah, it’s 14 stories. It’s sort of, if we have a scale model of it that we could show right here, along the Queensway, it’s only about, I think it’s six stories. Then on the backend, it goes up to 14 stories. Starting at the ninth story, you have larger corner units. You have some terraces as well on the backend. Roy Bhandari: It’s big enough for a second bedroom? Roy Bhandari: Well, I was going to mention that. This weekend we were at the sales that. It was the first day of sales on Saturday. Mike Santos: It was crazy. Mike Santos: This is the interesting part. Yeah, so we came in. We had a client who is very, very interested in one specific unit. It was a really great floor plan. We submitted a worksheet. We asked for the unit, and it was all sold out. Roy Bhandari: That was five minutes after the doors opened. Roy Bhandari: Because we could have reserved the unit ahead of time. Mike Santos: Chasing after later, because those types of floor plans are not coming back. They’re not going to rescind on those type of units, so that’s what I would try to encourage people, is if you know exactly what you want, get it in early. Then come to the sales event. You can familiarize yourself with all the rest of the stuff afterward. I mean, that’s okay. It’s a lesson learned. We’ll know for next time. Roy Bhandari: The ninth tower, yeah. Amit Bhandari: To speak about Lumina, well let’s get the specifics out the way. 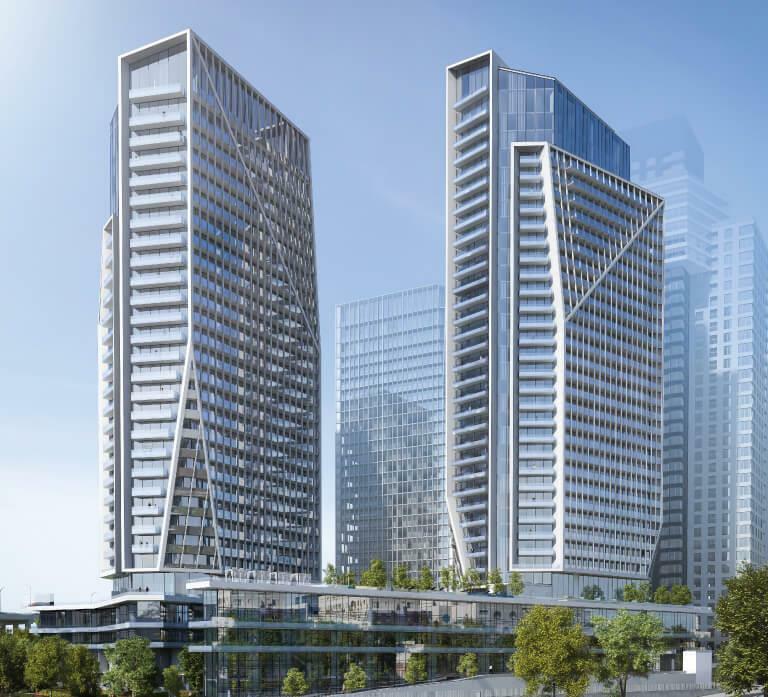 It’s 15 stories, 250 units. Occupancy is tentatively given for 2021. To speak about this deal, you really have to speak about, and it’s something you touched on, master-planned. It’s going to be a running theme throughout this conversation. Elad, what they have done is they’ve essentially converted this corner of Sheppard and Don Mills into this vibrant community. Lumina is the ninth tower. It’s the southernmost tower. The pillar piece of the puzzle for this community for me is the transit. 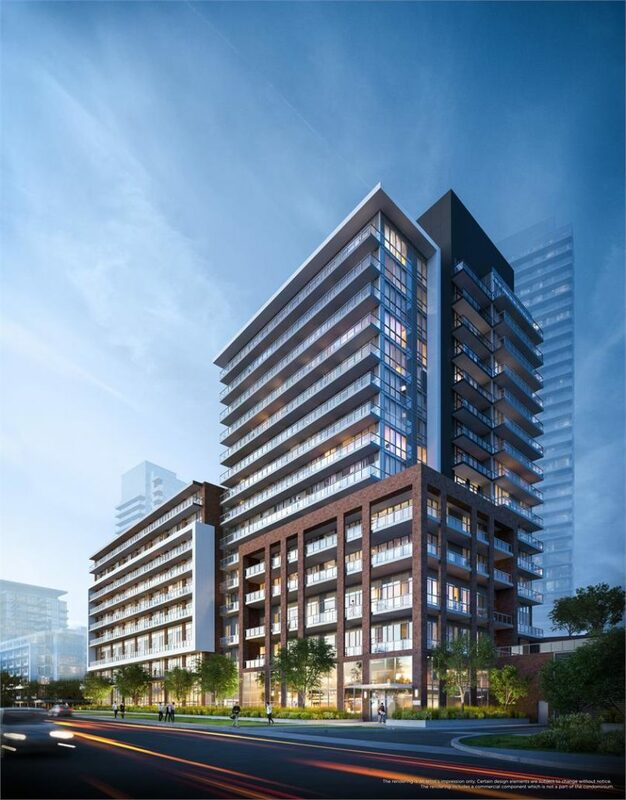 You’re walking distance to Don Mills subway station. You take four stops west, you’re on the Yonge subway. I mean, that opens up an entire new world really. You’re walking distance to subway. You’re five minutes drive from the highways, 404. You’re on the TTC line. You’re also walking distance to Fairview Mall. It has a lot going for it. It’s very obvious to see why the demand has been so strong here. Amit Bhandari: Quick rundown, I’ll try, because we could probably spend an entire afternoon talking about One Yonge. 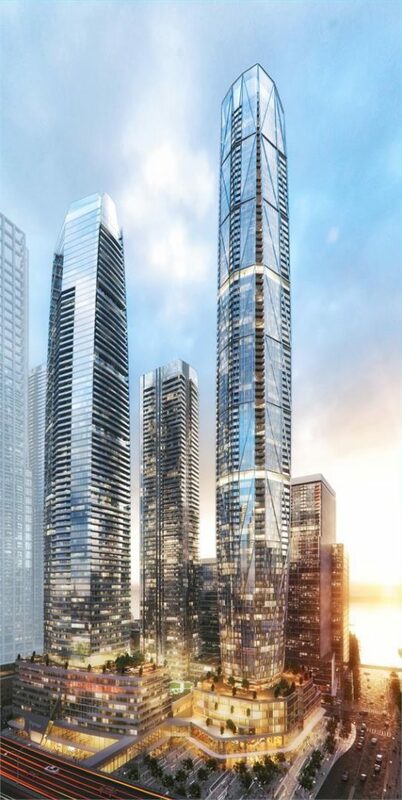 One Yonge is one of those developments that I think the best way to put it is that it’s going to change the skyline of Toronto. Roy Bhandari: It’s going to change the postcard. Right? Roy Bhandari: In terms of height? Amit Bhandari: Yeah height, and we’re going to talk more about that as well afterwards. But you’re not going to see this anywhere. You’re going to see a lot peaks. The Prestige, the first tower, and the entire community as well, it’s not just residential. There’s a lot of things going for it. It’s well and truly multifaceted. There’s a big, obviously residential component, but there is also an office component. There’s a 50,000 square foot city ran community center, which I think is absolutely fantastic. It’s not going to affect any individual’s maintenance fees. It’s city ran, and the public is free to use it. Amit Bhandari: Yeah, absolutely. The financial district, the South Financial Core, to have that connection direct to Union Station is absolutely … It’s incredible. Mike Santos: That’s going to connect neighbourhoods essentially too. Amit Bhandari: Absolutely. 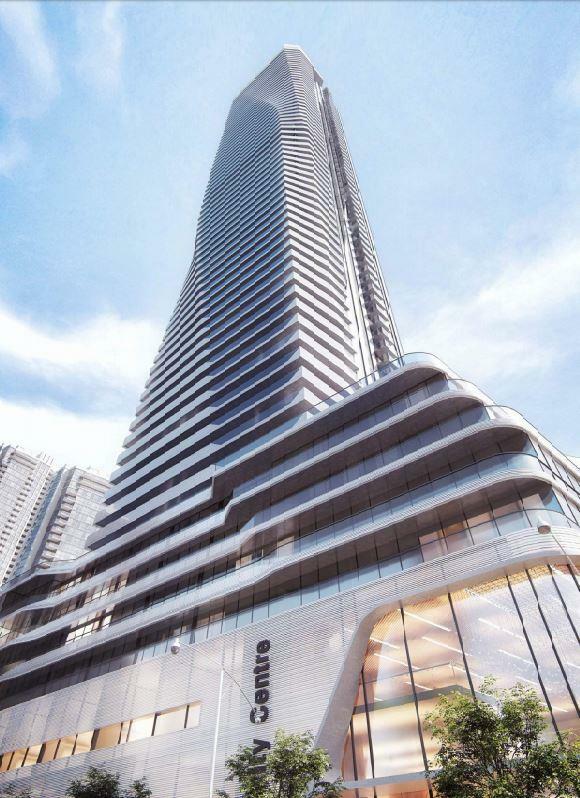 It’s going to open up East Bayfront to the South Financial Core even more, where Pinnacle One Yonge is. The other incredible feature here is the heights. I test on this before, these I think were the first ones to sort of break that, and then others followed suit. 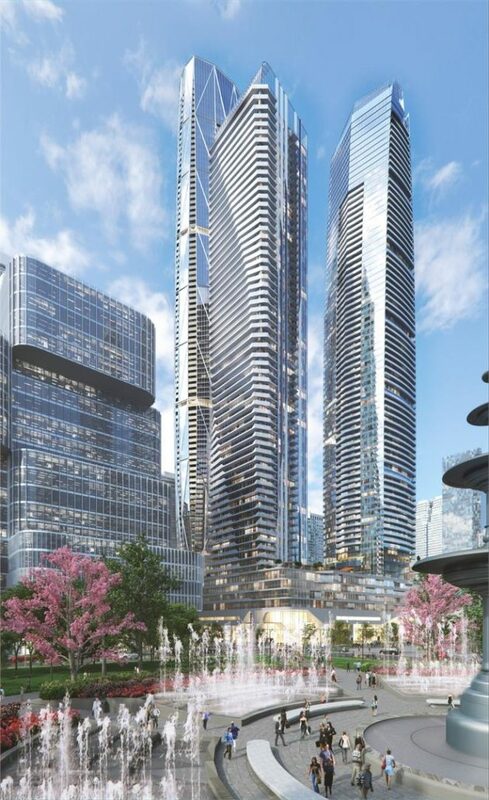 Roy Bhandari: Just to back that out a bit, One Yonge is going to be three towers. The first one that is on sale right now is 65 stories. Roy Bhandari: … and 95 stories. 95 stories. Roy Bhandari: Going back before this, the tallest residential that has been built right now is Aura, which is 75. We’re 20 stories taller than Aura Condominiums, which is again, it’s broken this barrier, and because of this one, there’s going to be more super talls. But this is the first one is really gone to market. Amit Bhandari: No, it’s incredibly exciting. I think it’s one of the ones that everybody were waiting for to launch. The other thing that we haven’t touched on is the address itself. Depending on where you live, it’s either the beginning of Yonge, or the end of Yonge, but [inaudible 00:13:44] beginning of Yonge, One Yonge. Right? Amit Bhandari: It’s very prestigious. Mike Santos: It will be an iconic project. Roy Bhandari: Yeah, because this is the southern building right? Roy Bhandari: The views over the Toronto Star building are going to be overlooking Lake Ontario all the way. Roy Bhandari: The next one is we’re going to go a little bit east of Prestige. 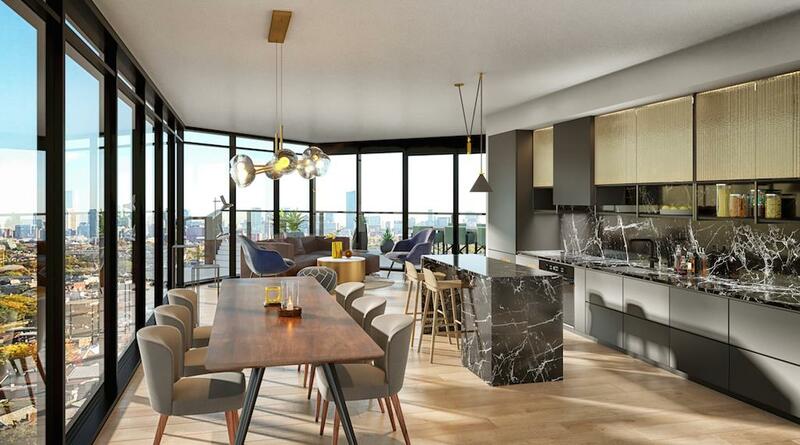 This one is one of our favourite condominium projects, and neighbourhoods. The project is Lakeside Residences. The neighbourhood is the East Bayfront. Amit Bhandari: We can spend the entire, again, another session on the neighbourhood. The neighbourhood is three levels. 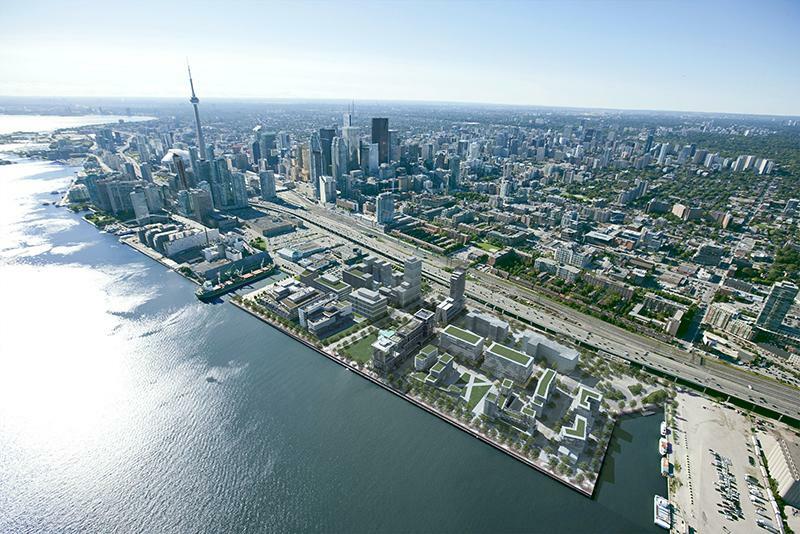 Backing up a little bit, so East Bayfront was dubbed the crown jewel of the whole Waterfront Toronto Initiative. Roy Bhandari: Just before you go ahead, tell them exactly where is the East Bayfront. Amit Bhandari: Yes, so it’s east of Parliament. Roy Bhandari: It’s a true waterfront community. Amit Bhandari: Yeah, mid 2000s, where they said that, “Look, we have this prime land. We need to make it into something.” Incredible vision. Long story short, they pitched to various developers, to sort of come up with the community. 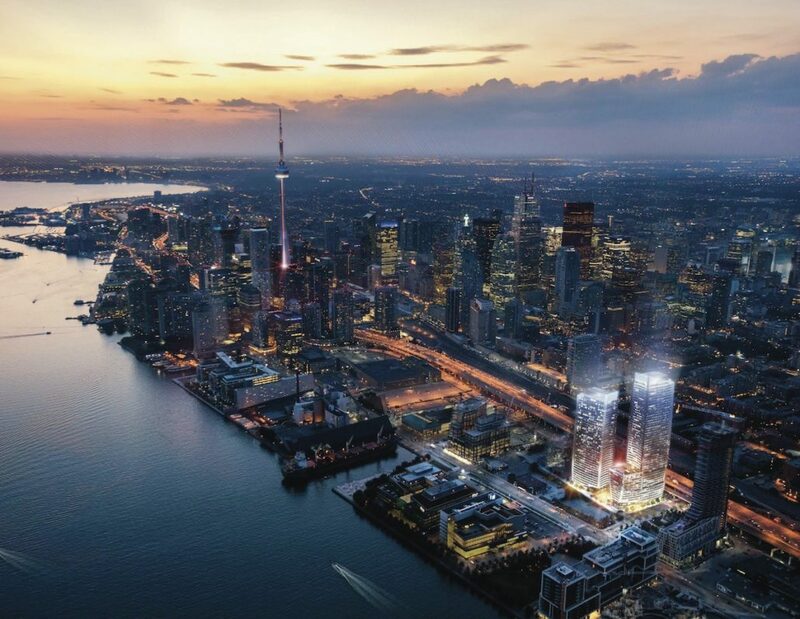 The entire development of the East Bayfront has backing from three levels of government; municipal, federal, provincial, as well as the private sector as well. They’re obviously involved in all this. What the intent was here was to create a master-planned community, but a community that because it’s the crown jewel, is something very special. Because it’s so close to the financial district, obviously, there are things that they needed to have in place. Amit Bhandari: By Menkes, they have that. Sidewalk Labs, the whole smart city thing, that again, that’s something else that we could talk about, spend hours and hours talking about. Residential, obvious. You’ve got a number of developers, killer developers as well. Amit Bhandari: [crosstalk 00:18:05] space, it’s well thought out public space. Amit Bhandari: Missteps, it is, they were missteps. Mike Santos: This is what makes it special, like you were talking about. Roy Bhandari: Preplanned, it’s all preplanned. Mike Santos: You have a body that’s overlooking everything, and creating it beyond a master-planned community. 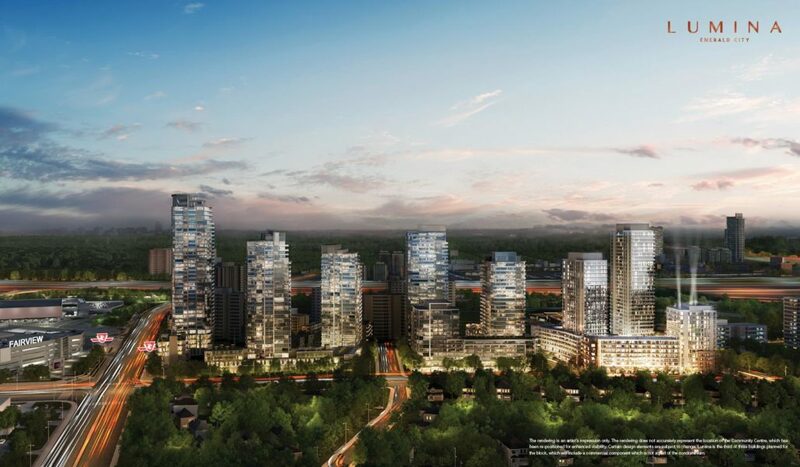 Not just of towers, but a master-planned neighbourhood. Mike Santos: And higher-end stuff too. We’re thinking it’s going to be higher-end stuff as well. Amit Bhandari: … is Sugar Beach. Roy Bhandari: Sugar Beach, yeah, absolutely. Mike Santos: Well, look [inaudible 00:19:49] District. That’s become a huge, huge touristy area. The values in those areas have gone way up. We did Canary Commons in the fall, and that was another huge project, so there’s No reason why East Bayfront couldn’t surpass it as well. Amit Bhandari: Absolutely, 100%, 100%. Amit Bhandari: … at this point. Roy Bhandari: We really recommend this area, and we can’t recommend it enough. Amit Bhandari: Well let’s talk about the building. Roy Bhandari: You were selling a pile of dirt. Amit Bhandari: Yeah, and for a lot of people, that’s Very tough to imagine. But now, because there’s been so much change in this neighbourhood already. Remember, what they’re building is like a city within a city. This is what it is, so it takes time. Real estate development takes time, especially when it’s so multifaceted, public space, jobs, the Menkes Innovation Center, and everything else that is being built up. But the building, actually I want to talk about builder, because the builder of Lakeside Residences I think is probably one of the biggest on the planet perhaps. Roy Bhandari: Yeah, they’re definitely up there. Amit Bhandari: It says a lot about Toronto. 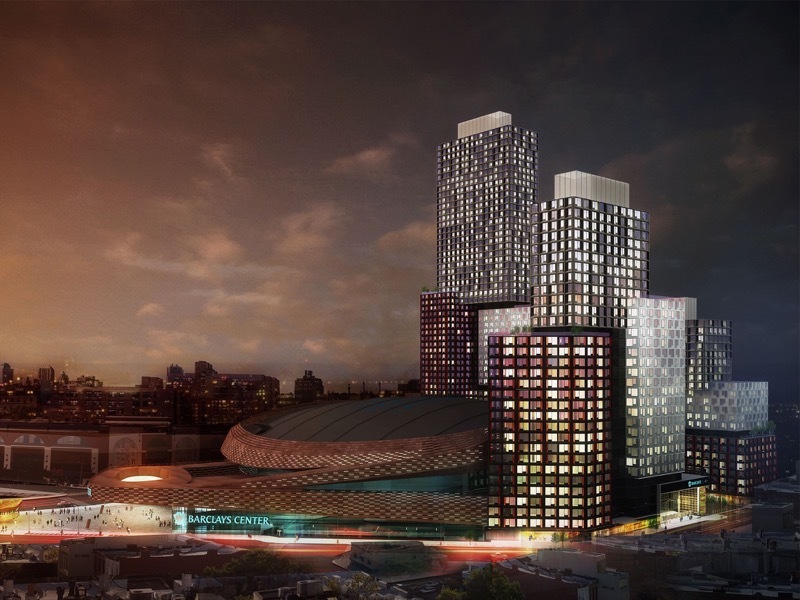 Roy Bhandari: In New York, they’re building one of the largest developments, the Barclays Center. They’re in LA, so they’re in major markets. Therein major, major markets, and now they’re moving to Toronto. They built some of the tallest skyscrapers in China. They are a huge developer. Amit Bhandari: They need business. They mean serious, serious business. The fact that they’re in Toronto, they want to stay and build. Amit Bhandari: … with a tower on top. The tower itself is actually going to be the tallest piece of the Greenland development site. Amit Bhandari: Yeah, it’s 49 stories. The occupancy is slated for 2022. But it’s a very good opportunity. I really do feel that people need to take another look at this site again, just because everything that’s going on, and the fact that you’re buying with the developer that has built not just in Canada or Toronto, but everywhere. They’re everywhere. Roy Bhandari: You, I agree. I couldn’t agree more. Next were going to talk about the projects that are in the pipeline. Probably the questions that we get asked the most as platinum agents is, “What is coming up?” So we’re going to do a quick rundown of what’s in the pipeline. The first project is Garden District condos, which I know you’ve been looking at a lot Mike. Mike Santos: Yes, so a AAA location. 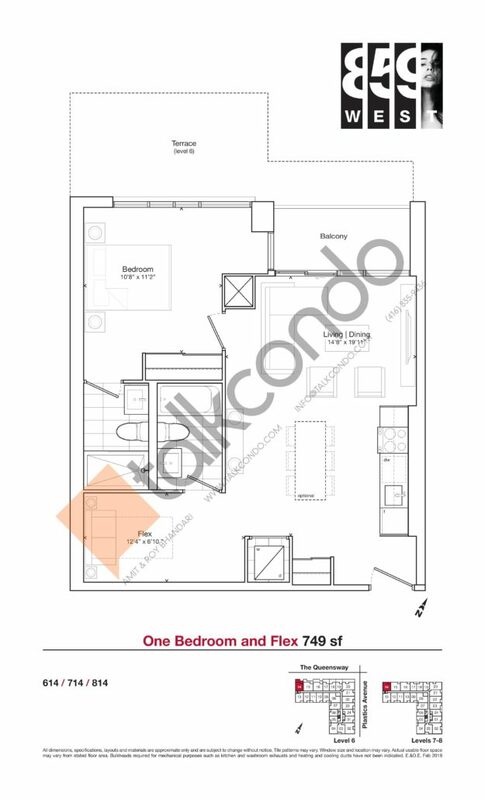 [inaudible 00:24:39] Shuter, so you’re five minutes from the TTC Queen Station, five minutes from Eaton Center, the Dundas, Ryerson University, hospitals, so AAA location if you’re looking for a core project. This is going to be a really big one. 35 stories, only 234 units in the 35 stories, so that means that average of six units per floor. I mean, it might differ here and there, but you’re potentially looking at some really great suites. We were talking about the types of floor plans, so those will be really good. It’s by The Sher Group. It’s their second building in the area. They sold Ivy out completely in the spring, last spring, 2017. So yeah, super excited about this one. Roy Bhandari: The next one is another one that were really interested in is Empire Maverick, which is in the Entertainment District. Amit. Amit Bhandari: The Toronto international Film Festival, it’s the stuff literally across the street from there, so a fantastic location, right in the heart of the entertainment district. The building itself, roughly 300 suites, 47 stories. We’re expecting completion in 2022. Roy Bhandari: 2022. I’m going to group the next two together, because they’re by the same developer, one of our favorite developers in Menkes. We’ve got the Harbor Plaza. We displayed that very probably. The first one is in.DE. Amit Bhandari: in.DE is kind of in the area that you just spoke about. It’s literally east of Dundas and Jarvis. It’s right in that pocket, essentially where the Ryerson University campus is. It’s an area that has seen tremendous growth. We worked initially in this neighbourhood way back when with Great Gulf’s project called PACE. I think it was in 2011. Amit Bhandari: Very, very long time ago. An area that’s rapidly changing. A lot of revitalization has already happened, and I think it will continue. The building itself is going to be 204 suites, 21 stories, so another baby basically, especially with regards to the stuff is coming out. Get your worksheets in early. I can see this one also occupying in 2022 as well. Roy Bhandari: You mentioned that one was a baby, but the next one is definitely not a baby. Amit Bhandari: Sugar Wharf, Menkes, in case you’ve driven on the [inaudible 00:27:23], you cannot miss this. Sugar Wharf itself is going to take that and I think just make it much grander. Much, much bigger, almost 2,000 new residential suites. 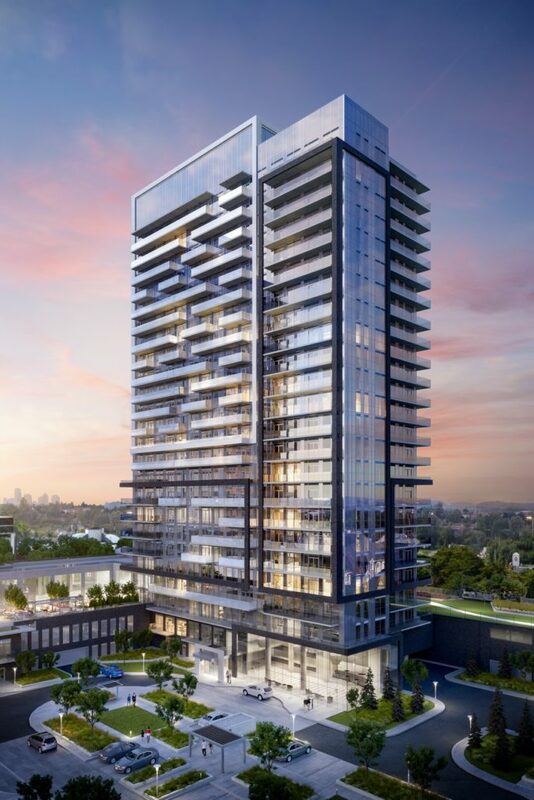 The killer thing here, other than it being by Menkes, on of the top developers, is that it’s also apparently going to have the connection, which just like The Prestige, it’s an absolutely killer thing to have. Amit Bhandari: Very exciting. It’s also right beside, to get your bearings, the area is literally beside East Bayfront as well, the area that we spoke about earlier. Amit Bhandari: Central Waterfront, East Bayfront, South Financial Core. 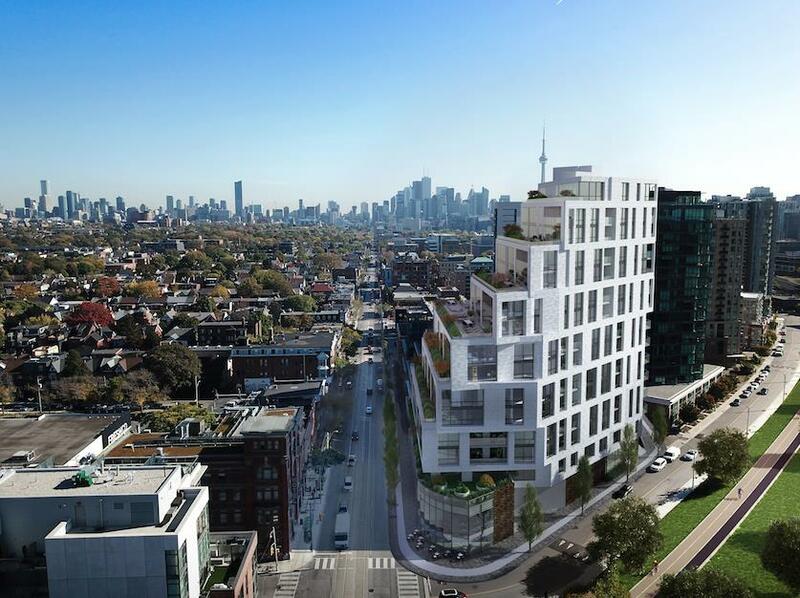 Roy Bhandari: The next one is up in Regent Park. 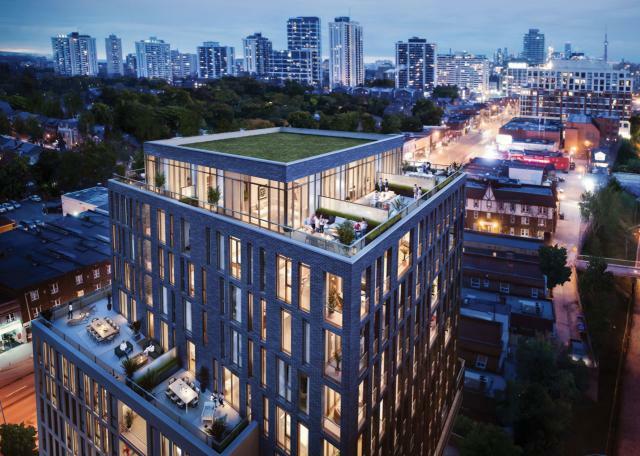 This is the newest Regent Park building by Daniels. Is the second phase of DuEast. 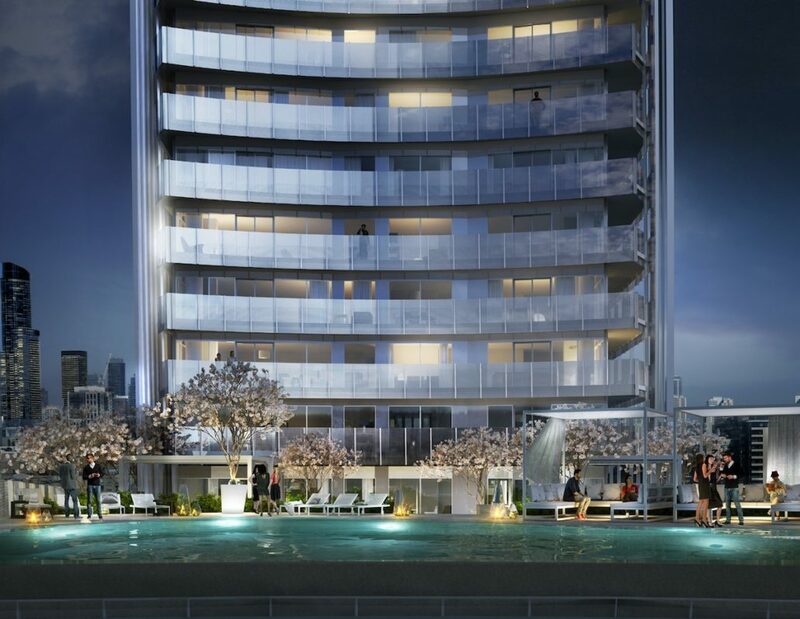 Talk to us a little bit about DuEast Boutique Residences. Mike Santos: That was completely ridiculous. Again, another builder that we talked about. Builder is obviously huge component of this. Daniels is another one where, as soon as you hear the name, you know it’s going to be quality. 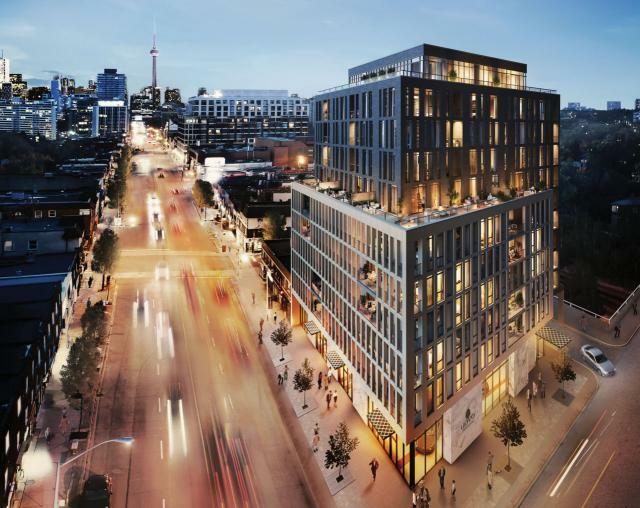 Mike Santos: This is all part of the next building in the Regent Park revitalization, again, something we could have another whole afternoon talk about. But this will be another quick one to go. 112 units only, so that’s another project you’re going to really want to be on top of, and we will make sure when it comes, that you guys will be on top of it all. Roy Bhandari: While we’re on Dueast, there’s a couple of things I wanted to mention. 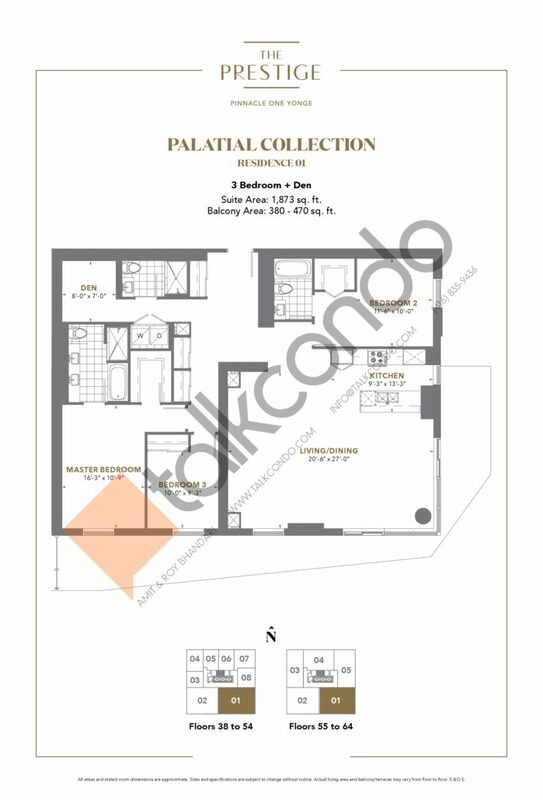 Number one is that we do already have some draft floor plans, which you can download in the email. There’s a handful of floor plans that we’ve already seen. It’s a small building. Number two is that Daniels are going to have a full tower launching in the fall as well, so just be aware of that. Roy Bhandari: The next one were going to talk about again, is part of a multi master-planned community. This time it’s Garrison Point. Garrison Point phase one launched a few years ago, so there’s been a bit of a gap between Garrison phase one and phase two, which is called Playground Condominiums. Talk to me a little bit about Playground. Mike Santos: Sure. Major intersection King and Strachan, so we’re looking at that King West area, which has seen a huge redevelopment in the past three years. 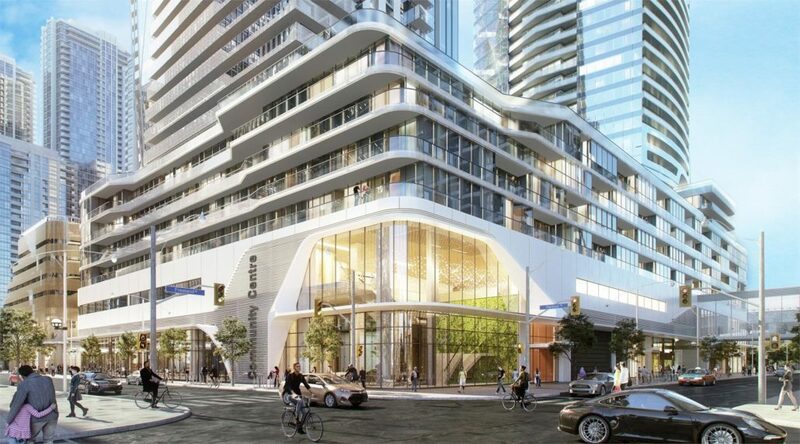 Roy Bhandari: Yeah, ZEN Condos came in, and again, was a very cool building in that area. Roy Bhandari: Five towers at Garrison Point, with a park. There’s going to be bridge connections, it’s really going to connect everything. It’s a great little project. Mike Santos: If you’re to sort of just, maybe if you’re an end-user or an investor looking just outside of the Core, but that still connects you to the Core, this is one to keep an eye on for sure. Roy Bhandari: Next up, and the last one were going to talk about today is Uovo Condominiums. Amit Bhandari: I believe it was an Italian word. Amit Bhandari: I’ve been told. This was is another boutique building. It’s only 11 stories, 67 suites. It’s in my neck of the woods actually, Davisville, Chaplain Estates. For those that aren’t too familiar with that specific location, it’s just south of Yonge and Eglinton. 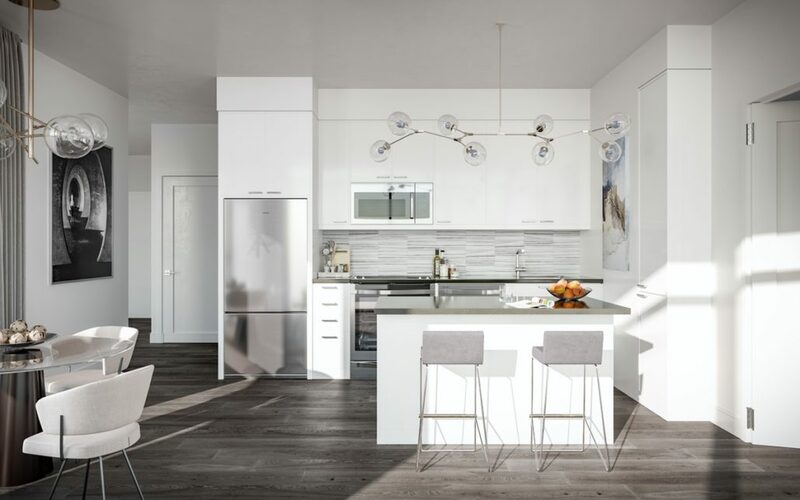 That in itself is very important, because once it’s built out, you’ll have quick access to the LRT, as well as the Yonge subway line, because you’re literally two minutes walk from both. You will be two minutes walk from both. Ultra boutique. It’s by The Sher Group as well. They’re familiar with this kind of building. They’ve done stuff in the past with Ivy, and now with the new one. It’s definitely one to look out for. It suits the neighbourhood. The thing I really, really like about this building is the designers are incredible. The design is super, super cool, and I think it’s going to elevate that neighbourhood a lot more, so definitely one to watch out for. Roy Bhandari: Awesome, so that wraps it up for this week. We’ll be joining you again next week for all the latest new launches and coming soons.